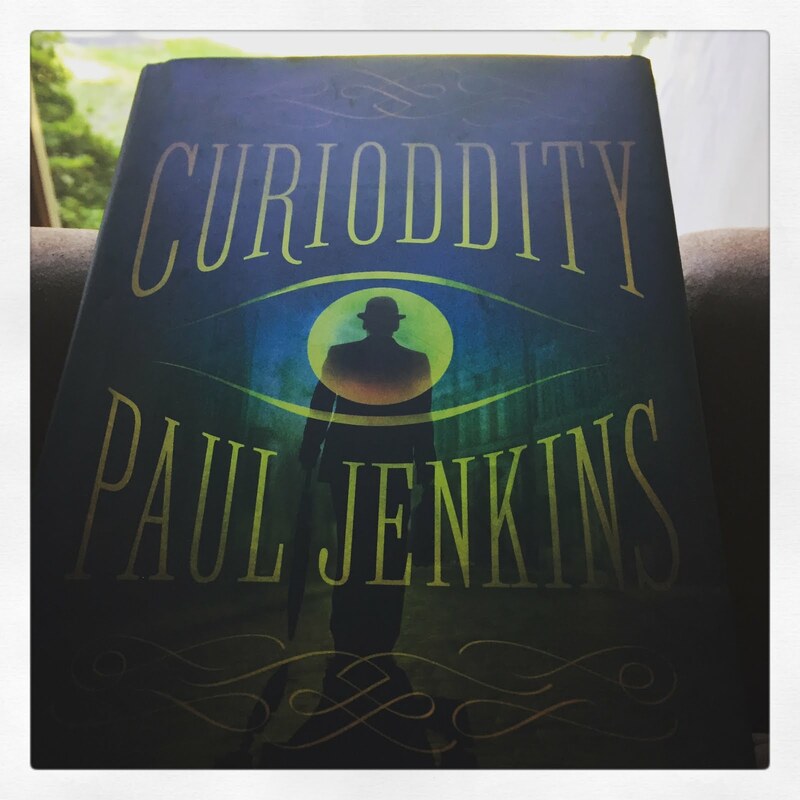 I have no idea exactly what I need to tell you about Curioddity by Paul Jenkins to give you the best overview of this story because there is A LOT going on in this quirky sci-fi mystery. I should obviously tell you about Wil, the subpar, broke private investigator, who lives in an apartment with weird sounds in the pipes, the revolting scent of cooked mushrooms, and a cat-lady landlord. Also, since it's the main point of the plot, I'll need to tell you that he gets a strange elderly visitor to his office who hires him to find a missing item from the Curioddity Museum. I could tell you about how Wil's head frequently comes in contact with sharp or heavy objects because, well, it's something he is certainly aware of and it's also the way he meets the lovely and free-spirited Lucy. I might tell you about Wil's parents, the chess-playing twins, or the man who sells crap items on the tv, but out of context you aren't really going to understand what they're doing there. There's also the Perpetual Penny, the unordered golf club, and the ninja-bots, all things that you obviously don't need to know about before going into the story but, by mentioning them, I am hoping to pique your interest. However, if I only tell you about these things, you still wouldn't have any idea about how fun this story is and that's what I really want to tell you. It is funny and mind-expanding and sweet and perilous as all get out. The writing is a little shaky at times but this is Jenkins' first novel after a career of writing comics and video games. I'm giving him a pass because he has a great imagination and some obviously stellar influences. I'm going to file this on my shelves along with The Order of Odd-Fish, The Somnambulist, and all of my other favorite quirky, science-fictiony stories. I am not familiar with this one. I will have to look into it! It's brand new. I think it just came out a couple of weeks ago.